One of the benefits of a point of sale system is that the computerized system automatically tracks sales and inventory data. The key to maximizing your POS investment is learning to use that data to improve store operations and make more money. Here are some key pointers. Retail Metrics and tracking Key Performance Indicators (KPI’s) should be an important of running your business. Let’s take a closer look at how analyzing your inventory performance on a regular basis can keep your business on track. How does a retailer know what to do and when to do it? Well, the answer to that million dollar question lies in KPI’s. Let’s take a look at what I consider to be the five most important retail KPI’s that should be easily generated from your software program. The first thing I look at is Days of Supply. Days of Supply is a key statistic which tells you how long it will take you to sell out of your present stock, assuming that sales continue at the same rate as recent past sales. For non-seasonal merchandise which sells at a relatively steady rate, you could use a longer basis period, such as 30 or 60 days. For seasonal merchandise, the rate of sale changes rapidly, and you would want to use a shorter period. Days of Supply analyzes the last period of sales, and based upon that rate, gives you the amount of days of supply left on that style. It is based upon the numbers of days of selling that you tell your system to examine. Using this information, you can reduce your days of supply to match lead times, without losing sales. The next piece of information I look at is Turn. Turn is a measure of how many times your inventory is replaced in the course of a year. Example: If you have an average inventory of 100 jackets in a year and you sell 100 jackets every 4 months, your inventory “turns over” or is totally replaced, 3 times per year. Therefore, your turn is 3. Turn is often increased by reducing selling price. However, this obviously reduces profit. A balance needs to be reached between the proper turn, and the proper profit margin. Annual Sales ÷ Average Inventory. By knowing this formula, you can better manage an optimal Turn and increasing your Turn as much as possible, without having to take markdowns, thus increasing your profit. Moving on to the next one – Stock to Sales Ratio. This is the ratio of the inventory available for sale versus the quantity actually sold. For every unit sold, how many units were on hand? Stock to Sales Ratio is the exact inverse of Sell Thru Percentage (see below). When getting into inventory, Stock to Sales Ratio is a key statistic for measuring whether or not you are overstocked. If your Stock to Sales Ratio rises, and there is not an accompanying rise in sales, then you are adding more stock without increasing sales, which will reduce your profitability. 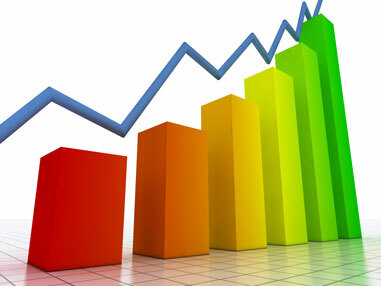 If your Stock to Sales Ratio decreases, and your sales do not decrease, then you will have increased profitability. This will reduce your Stock to Sales Ratio as low as possible, without losing sales. This brings us to, Sell Thru Percentage. This is the percentage of stock you had available for sale which was actually sold. Sell Thru Percentage is the exact inverse of Stock to Sales Ratio (see above). Sell Thru Percentage is especially important for seasonal merchandise, since the goal is to be out of stock of seasonal merchandise by the end of the season. Therefore, you can look at your year-to-date sales of seasonal merchandise, and be sure that you were out of stock by the end of the season. This formula is the exact reverse of Stock to Sales Ratio. Since this calculation primarily concerns seasonal merchandise, plan out the percentages to be sold out of by month, so that you can ensure being out of stock by season end. This will give you better control for accurate stock and sales management. Now we look at everyone’s favorite, Gross Margin Return on Investment, (GMROI). For every dollar invested, how many dollars did I get back? GMROI calculates the return based on the gross margin from sales. Example: if you purchase $2,000 of inventory, and sold it all in the same year for $6,000, your profit would be $4,000. The return on your investment of $2,000 was $4,000. The GMROI in this example is $4,000/$2,000 = 2. GMROI is closely related to Turn as mentioned above. If your Turn increases, your average inventory cost will be lower (relative to your profit), and thus the greater the return on your investment. Your merchandising goal is to increase the GMROI as high as you can, by keeping turn high, at high margins. As an additional note, always remember to set objectives for the merchandise you are buying. For example, when buying a new style of jeans, set a target for how many pairs should be sold by some reasonable time frame like, sell 12 pairs in the first week. This is important so when you run your KPI report you will know if the item is performing according to your expectations. If not, then you can take quick decisive actions to sell off that item before you get stuck with it and have to mark it down in an unprofitable fashion. Using these key pieces of information and reporting, you will better manage your inventory, gross profitability and have less mark downs in your store. Your point of sale, properly set up and used will help give you all of this information so that you can optimally manage your store. So, here’s to more profit and better store management!